There is money in unicorns. Venture Beat’s Baptiste Parravicini reports that 35 unicorns raised 12.6 billion in Q1 2016. If you are looking to start a business or just for business ideas, then it is important to identify the flow of money. Why? Because it may provide you the next profitable or successful business idea. Are you able to identify a major underlying theme? Is there a way for you to take advantage of this theme or perhaps re-purpose it? Middlemen are being stripped from business transactions in a number of industries. The travel industry is an obvious example. Since Prince is a topic of conversation given his untimely death, he is a good example. Like many artists, he did not care for the way the big labels treated him or his music. He sought out ways to eliminate big labels, the middleman. He used the internet as a tool to bring the customer “closer” to the producer, in this case a musician. Prince’s ideas were ahead of his time – in the late 90s, his crowdfunded album was not considered a success. However, the idea, once refined, took hold and is currently used both for music, other products, and services. Do you have an idea that will bring the consumer closer to the producer? This could be your unicorn. Do you have an idea that would make an existing business better? Maybe this should be your next business opportunity. If an underlying theme does not reveal itself, evaluate the purpose of the business. What services or goods does it provide customers. Are you able to offer something competitive? Are you able to copy the idea but put your own spin on it? Or, are you able to help the business grow? James Altucher made a very insightful comment recently – ‘every new company provides an ancillary business opportunity.’ What ancillary business ideas do you see? 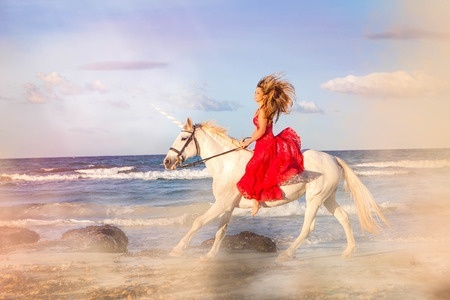 Venture Beat’s list of unicorns is a wonderful tool to get your creative juices flowing. Identify potential ancillary businesses for these unicorns. Many ideas may not be worth the effort, but one could alter the very course of your life. Wework provides shared office space; Lyft provides ride sharing services; Skyscanner locates the cheapest flight (have you heard that before?). Each of these businesses opens doors of opportunity for budding entrepreneurs. Check out VentureBeat’s list of unicorns and determine if there is a hidden business opportunity for you. © 2019 Passive Income News.